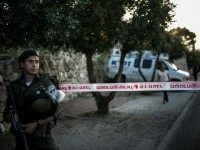 Ynetnews reports: The Hamas cell that carried out the suicide attack on the Jerusalem public bus contained six militants and intended to carry out a series of terrorist attacks in and around Jerusalem, including suicide, shooting, and car-bombing attacks, it has been revealed in the Shin Bet investigation. 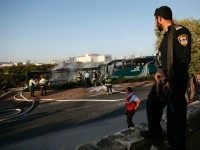 The parents of the Jerusalem bus bomber said they were shocked to learn that their son was both involved with the Hamas terror organization and that he was the perpetrator behind “such an act” against innocent people, but that nevertheless, Israel and the Jews were ultimately to blame. 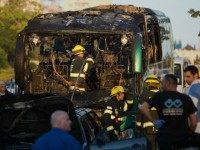 JERUSALEM (AFP) – A young Palestinian died of his wounds from a Jerusalem bus bombing this week, an Israeli hospital said Wednesday. New footage was released Tuesday showing the view of a firefighter who arrived at the scene shortly after an explosive device blew up on a Jerusalem bus, setting it and other vehicles ablaze and injuring 21. 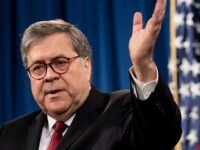 Pro-Israel groups slammed CNN over a headline which failed to mention that a bus explosion in Jerusalem was a terrorist attack. 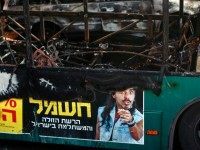 The news of the bombing of a Jerusalem bus that left on Monday 21 people injured, including two critically, was met with jubilant responses in the Gaza Strip.